Today I’m posting one more Europe post! I figured it’s still okay before July is over :). While I was writing my overview post of the trip (read it here), there were a few things I reflected on that were unexpected to me during my first visit to Europe. I know they aren’t totally crazy things but they’re things I didn’t have an expectation of going into the trip. I hope you enjoy this post! As always, be sure to subscribe to my blog (through the pink box at the end of this post or my sidebar) and Instagram if you haven’t already! I was able to eat vegetarian the whole time. I’ve been vegetarian/pescatarian since February, and I wasn’t sure what it’d be like trying to eat vegetarian in Italy. I was pleasantly surprised by how easy it really was! I do eat fish and eggs, but there were always veggie / meat-free options available. Even from the many menus I saw over our trip, I was surprised by how many more options there were compared to American restaurants. I don’t know for sure, but it definitely seemed like it was much more acceptable/normal to not eat meat compared to in the US. The people were so kind! I guess it’s kind of odd to be surprised by people being nice, but there were many times my family felt out-of-place or just so obviously American, but we were always greeted so kindly. So many waiters/shop-owners/etc. were so friendly in doing their best to speak with us when we obviously only spoke English. Again, I wouldn’t know fully since I was just a tourist, but people seemed generally friendlier and not so in-a-rush about life! America, as a country, is a baby by global comparison. In Rome, a building that’s only ‘a few hundred years old’ is relatively new, compared to buildings and sites that have been around for thousands of years and are still standing. The US has only been around for a blip of time compared to Roman history! It was definitely a shift of prospective, being raised in American schools, to learn just how insignificant we are in the big picture of the large majority of recorded world history. That’s all for today! Thanks for being here. You can subscribe to my blog email list below! 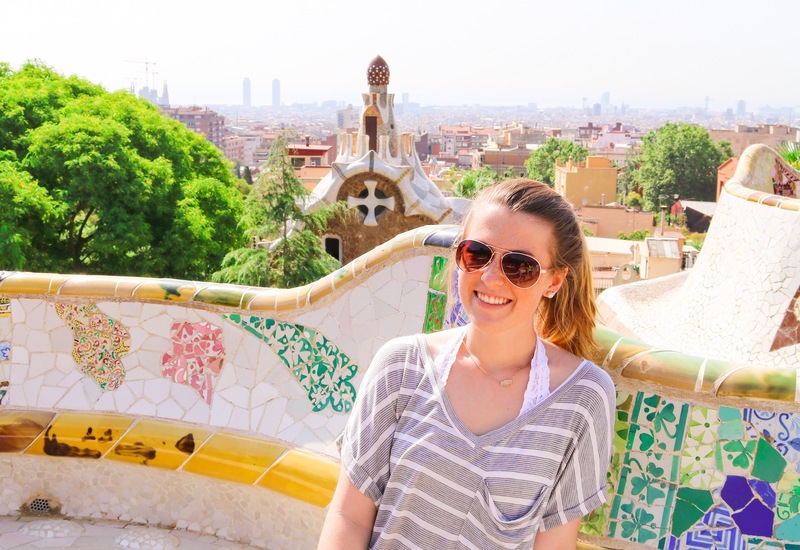 Candidly Kristen #9 – Traveling the World in July!